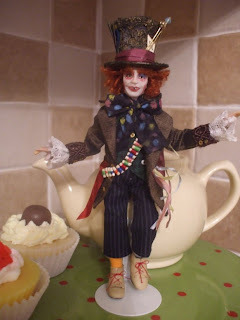 The Mad Hatter will be available to buy at Spring Miniatura. Based on the character from Tim Burton's Alice in Wonderland this doll is poseable and costumed in hand sewn clothing and a handmade hat. 3 International Shows this weekend! New March issue of the AIM Magazine out now! !